Ascended Masters World and Lightworker Store is here for you, as a resource on your personal spiritual path and journey. Let me take a moment to explain a little of what is the purpose behind the work. Working in communication with the Ascended Masters and Source, we offer specific spiritual activations, clearings, and more, which the Ascended Masters have explained and shown to be pivotal in spiritual progress. Since you are already a spiritual being also having a physical experience, incarnation, you already are all that. So the masters say that all that has to be done now, at this time, then, is the connection, the connecting, building those energetic pathways which allow your spirit to flow in to you, and to feel that you as well are flowing in to your spirit. This is the focus of our work, and this is the principle that the Ascended Masters are maintaining behind the work. Everything that we are offering to you, the masters have attested to, and we have seen ourselves, actually on ourselves first, and with many others now, that energetic designs and systems within our human body have been changed. Every procedure or whatever it may be called, creates a change in the energetic design and/or function of the body, brain, and light bodies, which allows a noticeable improvement in feeling, in spiritual feeling, in experience of the light. All of our work is guided by the ascended masters and source. This gives an extra benefit, and that is that whatever is done, remains. The improved inner connection does not diminish over time. These are permanent changes that you can continue to build on. Finally, I would like to share a bit about another intersecting aspect of our work. A human being has two possible realities to get in touch with spiritually. It all begins with the inward experiencing of one’s spirit. From there it leads to potential experience of source, one’s source and as well the experience of the fullnesses of creation itself. Source is very beautiful and very pure and another feeling which I can only describe as rare. Creation contains everything, all the physical and non-physical worlds, levels, planes, and beyond. This as well can be experienced. Usually one gets an expanded perception, and that holographic experience continues expanding its depth. In this way more of the totality of creation can be experienced, and for many, this has been part of what they have felt and known was important for them. So both are an important part of our spiritual experience. Source, as well as creation. We all want to be able to participate in Creation, life, in as full a way as possible, according to the parameters of each one’s inner guidance, intuition, or leading. To do this in the physical world, as well as in vaster spiritual realms, our energies must learn how to remain balanced in any potential energy that may occur on earth or in spirit. Through what we call in Balance training, one becomes able to move more and more freely in spirit and explore, as many doors will be opened and open for you. 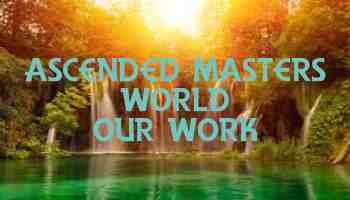 This aspect of our work is interwoven spiritually, by the masters, in to all of what is offered in the classes and the ascended masters mp3 store spiritually empowered recordings. Your energy, each one’s energy, must be developed through a series of successive stages of empowerment to stand before the ever-changing and moving energies on earth and in the universe and beyond. Then one can stand holographically before, within the vision of universes and beyond. This aspect of the work enables one’s energy to experience the remembering, and just as importantly, to be able to hold that vision, experience, to be able to enjoy that as part of, a part of, one’s daily experience, life. 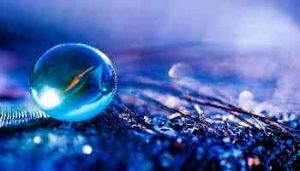 Lightworker World Community, a place to share and discuss everything spiritual. Your Soul Picture, discover what is hidden in your Soul. Lightworker Store, find everything you need for awakening, spiritual growth and enlightenment. Blue Light Star System, a new way of Cosmic Healing.